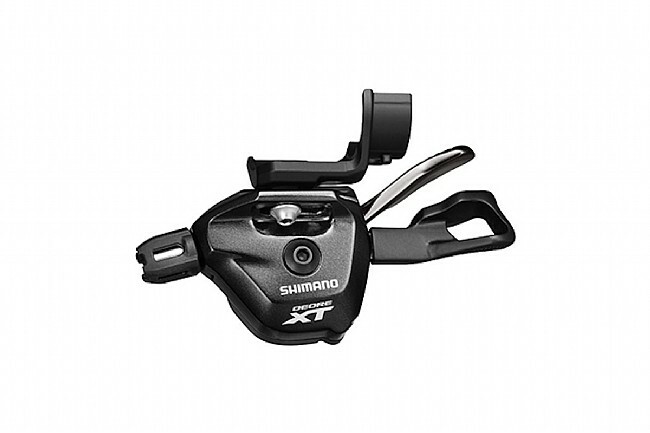 Shimano's XT M8000 ISpec Left Shifter (2/3x11) provides smooth and precise shifting for Shimano's Deore XT side swing 2 by 11 or 3 by 11 front derailleurs. The longer, textured lever enhances ergonomics, promoting controlled and precise shifting. Mounts to M9000 or XT M8000 I-Spec II brake lever.